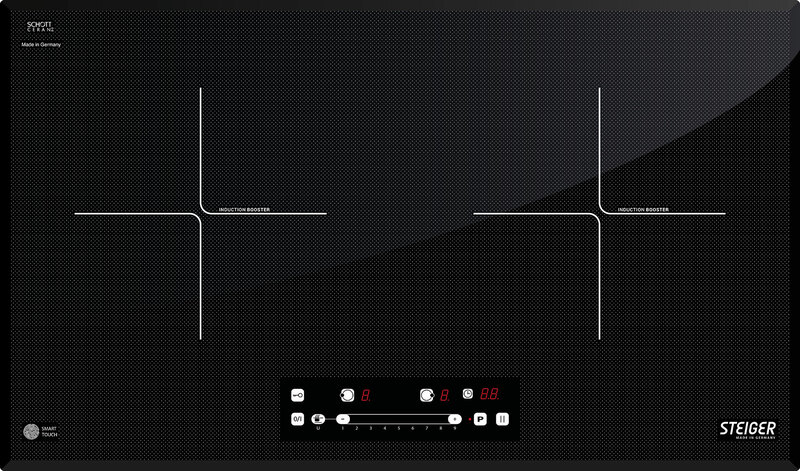 STEIGER - Innovative Cooktops "Made in Germany"
STEIGER cooking appliances have been designed to generate the cooks’ most potential. STEIGER, with its over 35 years of experience, goes innovative ways, in order to build long-lasting and high-quality cooking products. It is our mission to extend the cook’s capabilities with the most advanced cooking features. Cooking products of STEIGER are designed and made in Germany – adding to your kitchen. 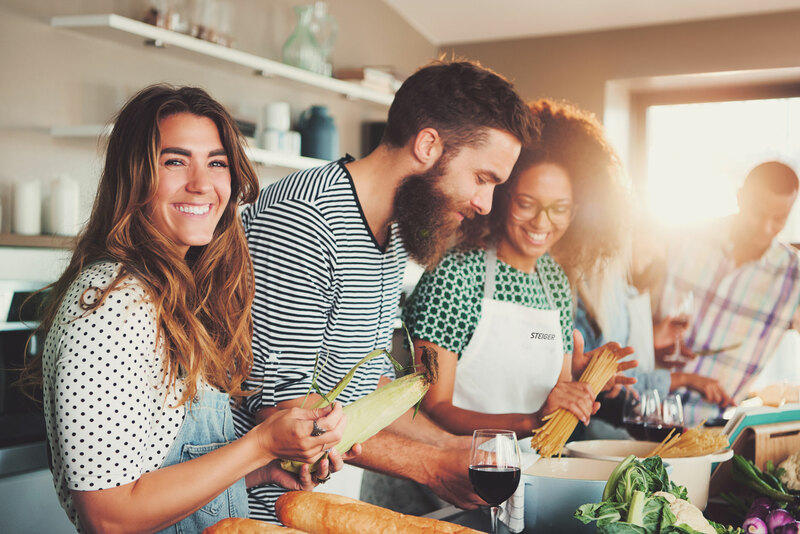 We believe that people want to cook with appliances they love. The cook and the product together form the symbiosis for delicious creations, that family and friends will love. Cooking Experience. Made by STEIGER. Powerful Heating Technology. For faster and more efficient cooking. In today’s world, everything has to go fast. Even cooking requires to be more efficient and quicker than ever. 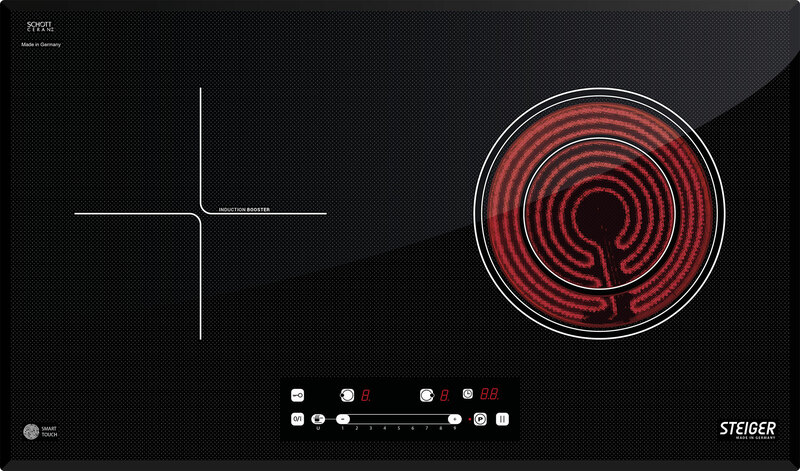 So STEIGER created cooktops, that offer cooks everything to be more productive during their cooking process. 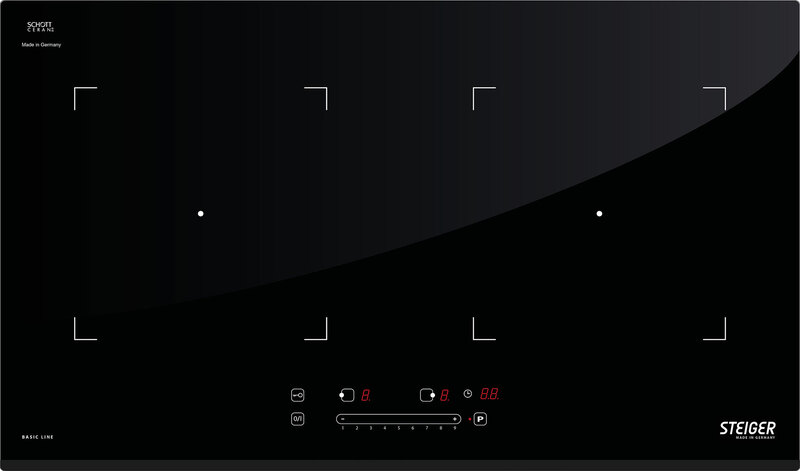 STEIGER’s induction technology is not only fast in cooking, but also environmental friendly. Thanks to integrated booster functions, water can start to boil in 50% less time. 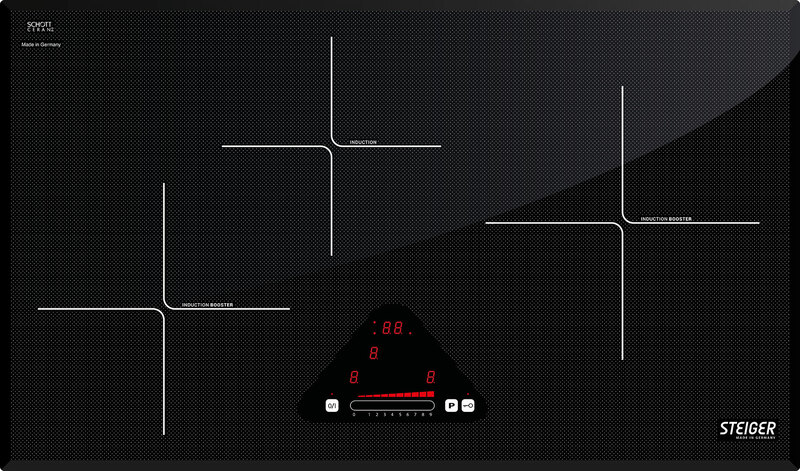 Smart Functions. For more intuitive and creative cooking. To offer our customers the best possible cooking experience, we have added smart and innovative functions. Whether you need to keep your food warm, or need to heat up food very fast, STEIGER has developed features to make cooking as simple possible. Thanks to our customer network, we have integrated the user’s voice deeply into development process to ensure the best possible products for the future. Induction by STEIGER. For more environmental-friendly and joyful cooking. 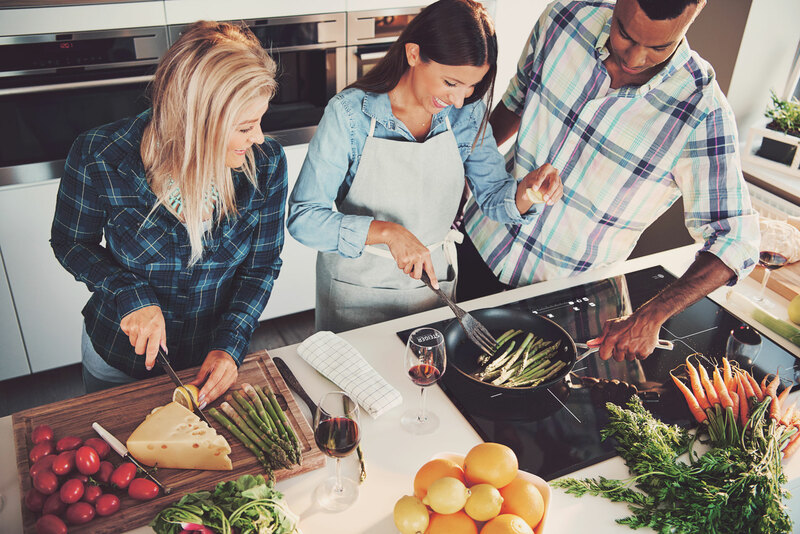 Induction cooking technology combines the temperature responsiveness of a gas cooktop, and the elegant and safer cooking surface of an electric cooktop. 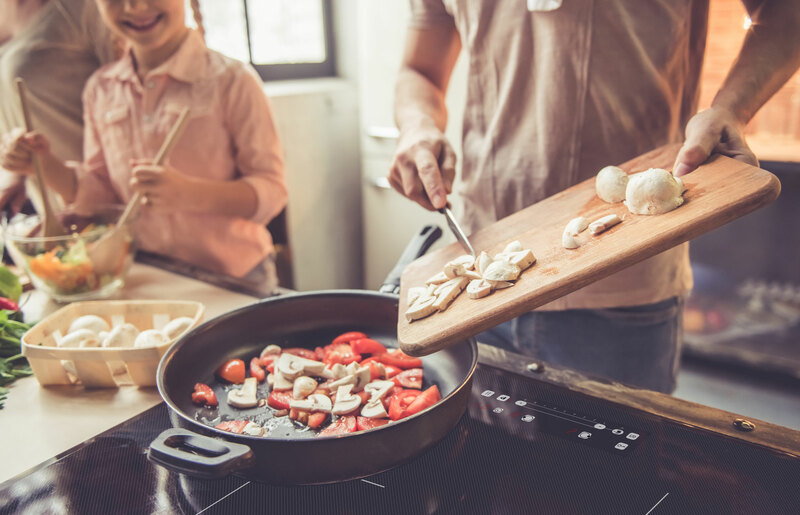 In addition, cooking with induction is the most environmental-friendly cooking method. Rapidly boil water with our most powerful induction technology – Induction Booster. STEIGER Quality. Made in Germany. 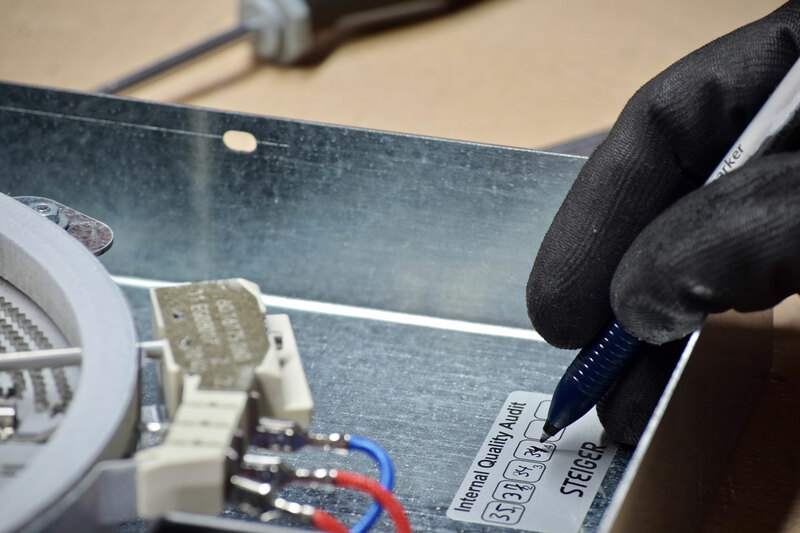 STEIGER ensures the consistent delivery of quality based on an effective quality management system, where every product is checked along the production line various times. STEIGER products are designed and developed by experienced engineers. 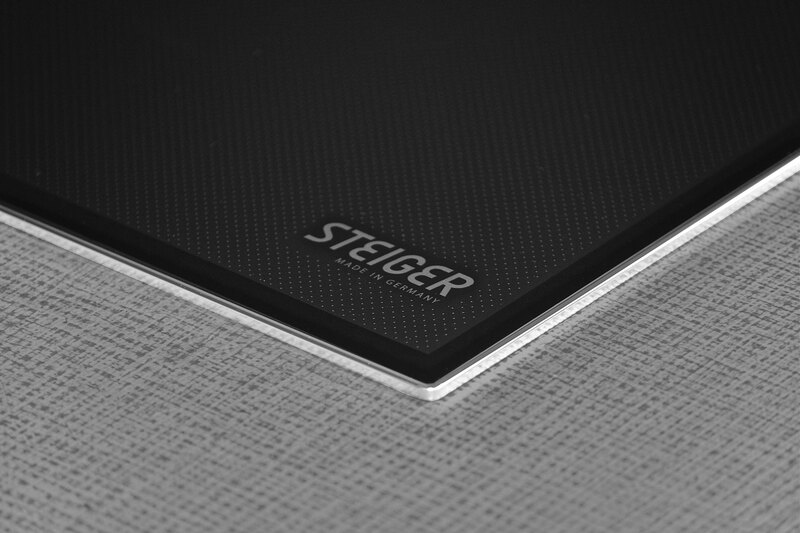 All STEIGER cooktops are manufactured in Germany. Elegant Design. Every detail engineered to impress. Our aim at STEIGER is to design a cooking product, that is functional to the user, but elegant and beautiful in its appearance. We at STEIGER believe, that functionality and design together are key, in order to convince the cook at home to use it in everyday’s life. With our products nothing is left to chance.